Blue Raster collaborated with The United Nations Children’s Fund (UNICEF) to help produce Clear the Air for Children: The impact of air pollution on children. 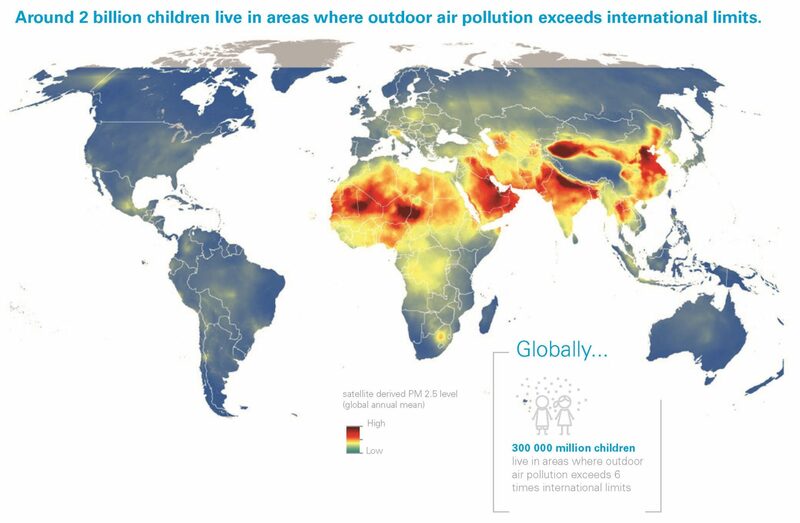 In the first analysis of its kind, Blue Raster and UNICEF used satellite imagery of outdoor air pollution in combination with global demographic data to determine that 300 million children currently live in areas with toxic levels of pollution, and 2 billion live in areas where pollution levels exceed international standards. The report also highlights that many of the poorest children were especially at risk because they have little or no access to resources for treatment and protection. Air pollution is a critical health issue to people all over the world. Children are especially vulnerable to air pollution due to their physiology: their lungs are still developing, and exposure to harmful air during this critical period can be especially detrimental, causing life-threatening diseases. A growing number of studies are even pointing to the impacts of air pollution on a cognitive development. UNICEF has made its mission protecting and empowering children around the world. 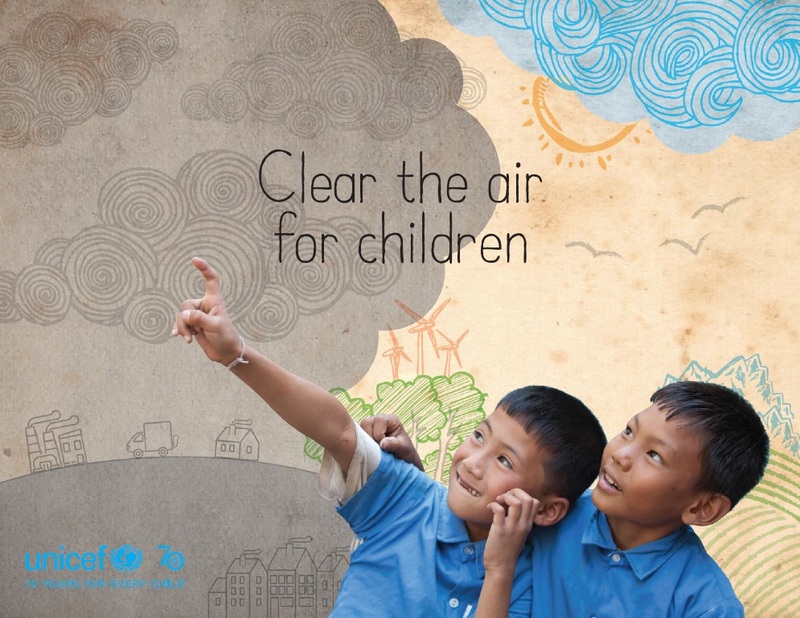 With Blue Raster’s help, UNICEF identifies the children who are most vulnerable to the dangers of air pollution and promotes a greater understanding of this issue among governments, communities, and families. Further geospatial analysis through ArcGIS Desktop and ArcGIS Online can help us pinpoint sources of pollution and create plans for reducing pollution in the future.